Hi Readers !!!! This is big opportunity for the applicants who are going to find the Defence/ Police Jobs in India. 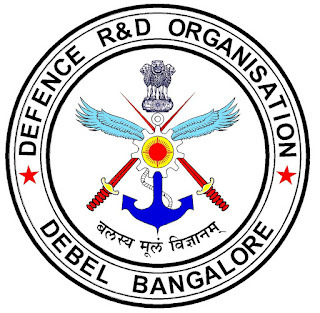 Defence Research Development Organization (DRDO) has announced 58 vacancies for Graduate and Technician Apprentice Posts. Candidates who are eligible and interested for these posts. They can apply for DRDO Recruitment 2018 for 58 Graduate and Technician Trade Apprentice Vacancies from www.drdo.gov.in. Official notification is already uploaded on website. Candidates can read official notification. before applying for these posts. Online application form are already started. Applicants can attend walk-in-interview for these vacancies on 1st December 2018 and 8th December 2018. Further details like important dates, application fee, selection process, age limit, eligibility criteria pay scale, how to apply etc. is given below. Educational Qualification :- Candidates who are going to apply for this DRDO Apprentice 2018 Application Form, they must have Diploma in relevant field for Technician and B.Tech in relevant field for Graduate Apprentice. Age Limit :- Applicants who are going to apply their minimum age should as per official notification. For more details refer official website. Pay Scale :- Selected candidates will get salary of Rs.4984/- per month for Graduate Apprentice and Rs.3542/- for Technician. Look around for “ DRDO Recruitment 2018 for for 58 Graduate and Technician Trade Apprentice Vacancies“.